Many of us dream of owning a house of our own, but due to financial constraints, we delay the process of home buying. A home loan usually becomes essential for the people who are a bit financially unstable. In an effort to get a dream home, we do have a financial helping hand in the form of housing loans. Housing loans are a savior for many in the country for getting the first home of their own. While there are many housing loan providers in the country, there are many options for the people looking for suitable home loans. With the process of getting of loans becoming simpler day by day, availing of housing loans has become very easy. But, still many a times, people have to face rejection of their home loan application. 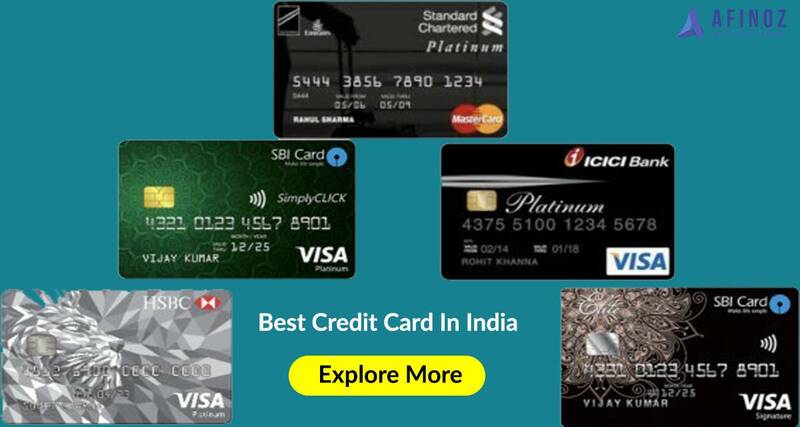 You should check your credit score i.e. CIBIL Score before applying for a home loan as low CIBIL Score is the first reason for home loan rejection. There are various ways to improve your CIBIL Score and following all guidelines as laid by CIBIL can result in the improvement of CIBIL Score. 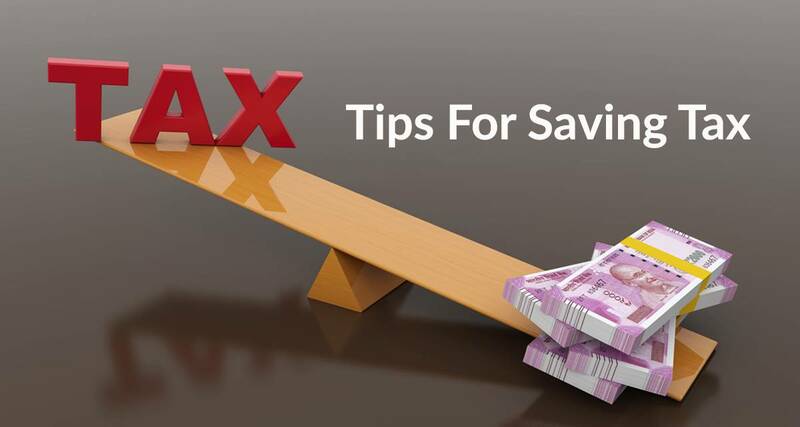 Keep all dues clear and file a Tax return to get a good score on CIBIL Score. To know more about CIBIL score also Read Everything You Need to Know about Your CIBIL Score on afinoz’s blog section. Have you ever been a loan guarantor to someone? If yes and the person never cleared his dues and is on the defaulter’s list, you may have to pay up for his deeds. Your home loan application may get declined over this issue. Thus, never become a loan guarantor of someone unless it’s essential & even if you are becoming a loan guarantor of someone’s loans, make sure, the person that he/she clears the loan dues in time. This may be one of the prime reasons, due to which your application can be rejected. In case, you are nearing the age of retirement, the Bank & lending companies may hesitate in allotting you the home loans. They may be willing to pay you short term loans & will try to keep themselves away from all sorts of longer tenure loans. The frequent job change may result in an impression of unstable behavior of a person in front of the banks & lending institutions. 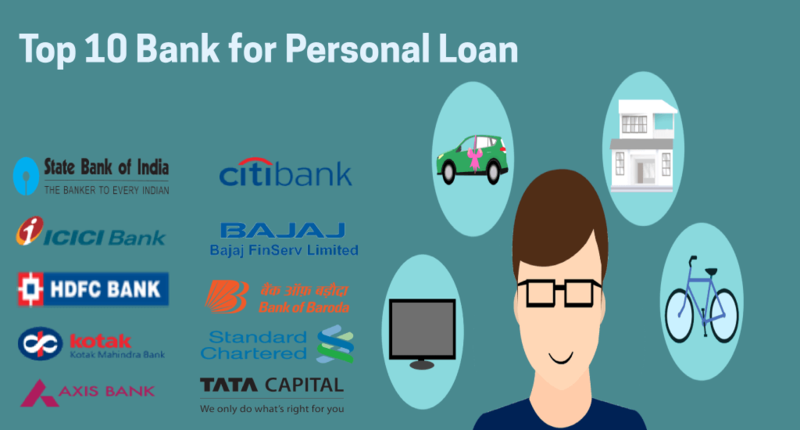 Banks and other lending agencies place a high stake on the job stability and reply on these qualities of a person before deciding on the security of the loans. Many banks even have criteria that a person must be an employer of a particular organization for at least 3 years. Thus, frequent change in the job may result in home loan application being declined. One must always keep in mind that every residential property is not eligible for home loans. 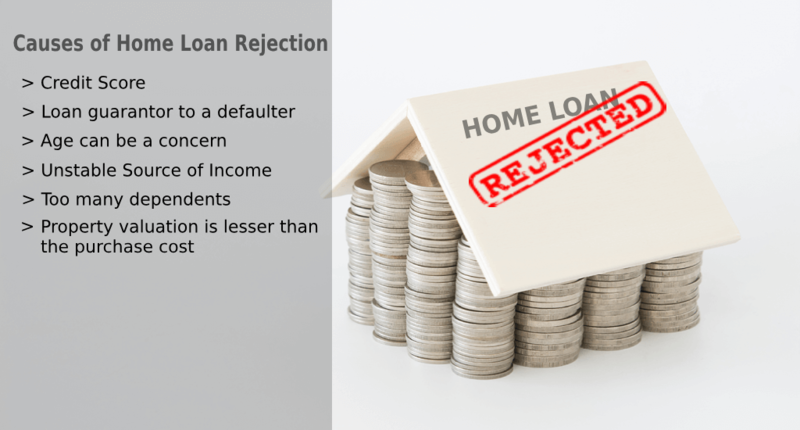 Thus, type of property can be one of the many reasons for the home loan rejection. It is advised to go for the properties which are constructed by renowned builders. Banks do check if the property can easily be sold off in case of recovery of the loan amount. It is always good to live in a joint family, but sometimes, it can be a hindrance in getting housing loans. More than three dependents are risky for taking a housing loan, which many loan granting officers may view before giving an approval of someone’s home loan application. Incidentally, sometimes the property valuation is lesser than the purchase cost. One must keep in mind that all properties have a fair market value and a hike from that rate will lead to getting your application rejected. Getting a home loan is an easy task if everything is followed in proper order. Make sure you take only the required loan amount and always aim to minimize the needs for your home loans as you’re the person who is going to pay the loan amount with the high-interest amount. . To explore best home loan schemes from different lenders, log on to afinoz or mail us at info@afinoz.com. We are here to serve you the best financial products without any hassles.